Carpet cleaning is part of lifestyle and it is considered as part of personal hygiene as well. Carpet cleaning is an important task to make the carpet look clean and it also kills any bacteria left on the carpet. 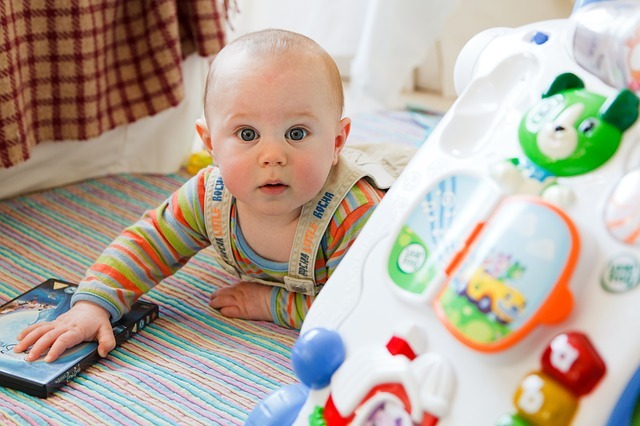 Is carpet cleaning safe for babies? Is it good to do for homes with babies? Moreover, carpet cleaning can also be very beneficial for babies because the little toddlers love to crawl and play on the carpet and they also feel comfortable on the carpet rather on the tiles. Unfortunately, there are dangerous chemicals and toxic in the detergents used by some companies to clean the carpet that can be harmful for the babies. It is better to always look research the chemicals or process of the carpet cleaner you hire. The company you hire should be able to inform you about the child safe carpet cleaning methods. There are a number of child safe non toxic detergents available in the market. Some of the harmful ingredients are benzyl benzoate, formaldehyde, naphthalene, phenol, sodium hydroxide, sodium carbonate, tetrachloroethylene, perchloroethylene, butoxyethanol, glycol ethers, hydroxyacetic acid, nitrilotriacetic acid. Some steam cleaning services and cheap carpet cleaners use an acid rinse in their service for toxic carpet cleaning. If you have decided to buy the products then you have to keep in mind about the mentioned harmful ingredients above otherwise you can always hire a professional carpet cleaning services. These services are professional and they know which products are child safe so instead of wasting your time on searching about the child safe carpet cleaning product, it is always better to hire professional carpet cleaning services. The dangerous ingredients are also mentioned on health care websites and blogs; you can always check these sites for better awareness possibilities. If you use detergents or store chemicals for carpet cleaning, wash your carpet twice with water so that there are no leftovers of these detergents are used which may be harmful for the baby. The next step is to use fans to dry the carpet quickly. During the process you have to keep in mind that your baby should be away from the carper for at least 4-5 hours to prevent any kind of health hazard. Carpet cleaning can be a safe venture for your babies, if you use child safe detergents otherwise other detergents contains harmful ingredients which may cause health hazards. It is highly recommended to check the product description and ingredients before buying it. Moreover, it is always recommended to hire a professional carpet cleaning services which can be cost effective as well as it can be a time saving approach. Chem-Dry of Fort Wayne only uses green-certified solutions for carpet cleaning safe for babies and everyone in your family. Pets too! The Natural®, our cleaning agent, is found on the FDA GRAS list. Call (260) 409-1138 to schedule an appointment today!